Foster care is the service and care for children who do not have the emotional or financial support of their birth family. They are taken under the wing of a supportive family for a period of time. Family Care for Children and Youth is an agency that specializes in foster care for children in PA. We do not just meet the minimum standards for foster care, we surpass the standards to give the children what they deserve – specialized foster care that truly fits their needs. Instead of sending children to a group home or institution, FCCY provides a foster family that is trained to specifically care for an individual child within their home. The family acts in the role of parents, providing 24 hour support to the child. 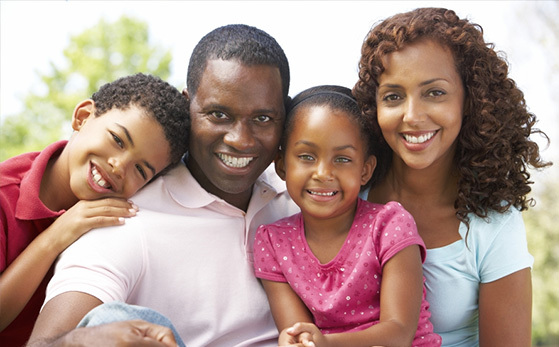 The ultimate goal of foster care is to return the child or youth to his or her biological family. Homemaker services is a goal-driven program from FCCY that ensures the child is well cared for in their own family. It places faith in the reunification of families after difficult times. Joining a family or person with a pre-existing relationship is an option for a child that must be taken from his or her home due to a dangerous living situation. It is a legal agreement in which the county has custody. FCCY ensures the child is properly cared for in the kinship home. Click here for more information regarding our kinship care home studies. Whether the child entered foster care at an early age or as a youth, he or she soon grows into a young adult that must learn about living independently in the world. Independent living targets young adults aged 18-21 to teach skills to reduce teen pregnancy, homelessness, and unemployment. When an emergency strikes, call on FCCY (24/7) for immediate care. Short-term foster care is available with a foster family for up to 30 days. If a child is placed in a group, institution, or kinship care and needs a break, FCCY arranges for short stays at a qualified, safe foster home. Respite care is an alternative location for the child – somewhere that is familiar and safe – during weekends, holidays, or other times when the current location does not suffice. Family Care for Children & Youth does not stop servicing at the time of adoption. In fact, we are a proud affiliate of the Statewide Adoption and Permanency Network (SWAN) to help you through all stages of adoption. Follow the links above to learn more information about our specialized foster care services in PA. If you have questions or would like to become a foster parent today, contact FCCY at 800-614-5136 or online here.